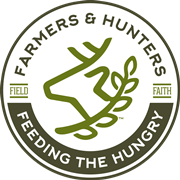 Our Team - Farmers and Hunters Feeding the Hungry - Hunt Down Hunger! Josh grew up in a setting where a love for the Lord, the bonds of family and a passion for hunting formed a foundation for life. With a Master's Degree in biology and a minor in education, Josh has been a public school teacher, staff intern with Young Life, and youth ministry director in a local congregation. He joined FHFH part time in 1999, became the Operations Director several years later, and now serves in the role of Executive Director. Experience working at several banks along with an Associate's Degree in Accounting have prepared Gwen for her current role as Administrative Assistant with FHFH. Her attention to numbers and details along with her love of family and the Lord make Gwen a valuable part of the FHFH team. Pastor Shriver served as a Lutheran Minister twenty-seven years. He assisted Rick Wilson with the formation and startup of FHFH in 1997 and believes serving at FHFH is an excellent way to follow God’s command to feed the hungry. Andy works at the Department of Corrections (maintenance electrician). He is serving to assist God in feeding His children. Kris grew up hunting pheasants with his family in eastern Colorado. Kris has served Lutheran congregations in the Upper Midwest and now in Hagerstown. Kris is happy to be a part of the unique mission of FHFH as they work to meet the great needs of hunger in our world. Ann was an elementary education teacher (one year kindergarten, twenty-four years second grade). She is helping to serve her brothers and sisters in God's earthly Kingdom who need to know the love of God. Jody is self-employed in the HVAC business. He is serving to help others and serve God. John has been the Vice President and a Missionary with Churches in Missions (CiM) for ten years. He believes in the goals and vision of FHFH and wants to be part of this practical, Gospel-centered ministry. Tim is the owner of Keystone Sporting Goods. He is serving to help hunters bless the needy of their communities. Rick is employed in engine manufacturing for Volvo Group North America and is a landscaping contractor. He wants to help feed the hungry so no one has to eat leftovers out of a dumpster. As a Christian and a hunter, Rick was called to combine his two lifelong passions while helping a woman retrieve a road kill to feed her fatherless children. In 1997, nearing the end of a 30-year teaching career, he founded FHFH, Inc. and served as its Executive Director for over 15 years. Barry was a trial attorney (insurance defense) for forty years. He was admitted in all courts in Maryland and the District of Columbia. He is serving to help feed God's hungry people.